We’ve heard many times that WILLPOWER is like a muscle, the more you use it, the stronger it gets; but you can tire it out. How can we harness it without tiring it out? Health Psychologist and author of Maximum Willpower: How to master the new science of self-control, Kelly McGonigal has identified how we can harness it. Kelly claims, “Harnessing the three powers of I will, I won’t and I want” in order to help us achieve our goals. In order to understand why we have a battle with our will power, let’s consider some basic neuroscience. Our brain is an outstanding piece of architecture and engineering. It is so complex. Neuroscientists are discovering new and amazing findings regularly. Our brain is divided into many parts. The primitive part of our brain has the “I want” or instant desire, such as for a chocolate bar! The pre-frontal cortex is the reasoning area of the brain which understands long term consequences to actions and behaviour. So in order to stick to our goals, we need to focus on putting the higher self or pre-frontal cortex in charge. When we do this we strengthen our resolve, self-control and self-awareness. When we allow the pre-frontal cortex to take control of our primitive brain (which requires immediate gratification) we are holding “fundamental intention.” According to Psychotherapist, Carol Perry, fundamental intention requires a much more gentle level of awareness. For instance, your fundamental intention may be to “improve my quality of life.” This intention provides direction and guides us to our long term goal. At times, we may have a hiccup, but if we know our intention, we are more inclined to get back in to the mindset. This stops the feeling of thinking we are “a failure” which is negative talk we want to avoid at all costs. I have created a FREE DOWNLOADABLE WORKSHEET for you at the end of this blog. You will notice I have worded it as a “12 month checklist” rather than “2018 checklist.” The reason for this is because you may be reading this half way through 2018 or beyond! Plus you can re-use this checklist year after year. Groups or communities are a great way to keep a support network or an accountability to your intentions. So why not print out or forward on this blog so your friends and family can download and print out their own Total Somatics Intention Checklist. CLICK HERE FOR THE BLOG CONTAINING THE FREE AUDIO. 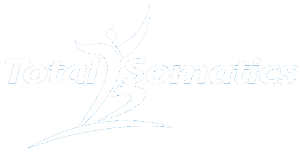 Total Somatics is very much based around Neuroscience, Intention and Intelligent awareness. The gentle exercises you learn create new or reawaken old synaptic connections in your brain. This creates new movement patterns, switches off habitually contracted muscles and allows the nervous system to completely slow down and recalibrate. Mindful breathing is fundamental to the Total Somatics program. Neuroscience has shown that inducing slow deep breaths activates the pre-frontal cortex and our brain activity increases in Alpha rhythm. This switches the body from the sympathetic (stress- fight or flight) response to the Parasympathetic (slow heart rate, overall calming effects on the body) response. When the pre-frontal cortex is dominant and the parasympathetic response is active, the body and brain shift from a state of stress to a self-control mode. When the body is relaxed in Somatics, the brain soaks the new information in like a sponge and records it. This improves brain and body communication in everyday activities. Somatics helps to reduce pain, increase mobility and improve your quality of life. The more we practise these techniques, activate our pre-frontal cortex and create fundamental intentions; we improve our quality of life. 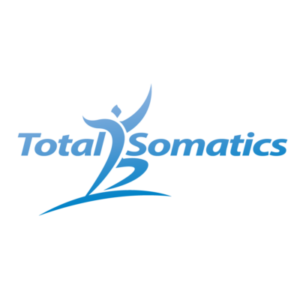 Let 2018 be a year of fundamental intention and join Total Somatics Online. Allow me to guide you through a structured, self paced program with many audios, videos and other support materials to guide you through Somatics, heighten your awareness and improve your Somatics practise. Enjoy the remaining days of 2017 and spending time designing your life so you can achieve balance with the Total Somatics Approach. February 20, 2019 By Heidi Hadley Blog bioplasticity, brain, educate, empower, mindfulness, mindset, movement, neural connections, neurons, neuroplasticity, neuroscience, online program, pain science, pandiculation, Podcast, somatic health Comments Off on How to Keep Your Brain & Body Active!